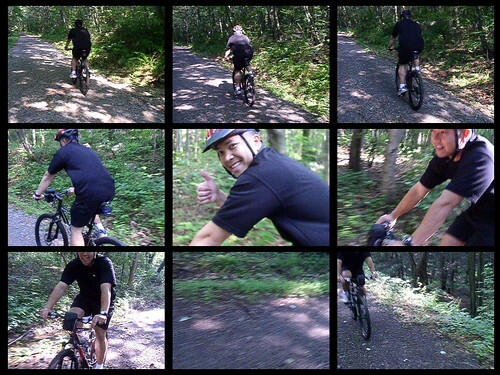 My buddy Eri and I hit the Stoney Creek Trail just off of Dauphin, PA last Saturday and had a blast. Of course the Fezzari Abajo Peak Pro was my trusted steed. 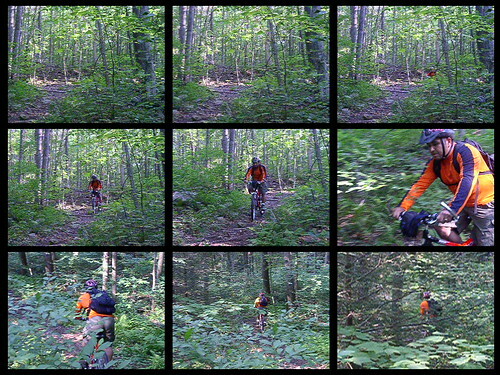 The trail is used for both horses and mountain bikes. But we found that most of the fun is when you go in and out of the firebreaks. 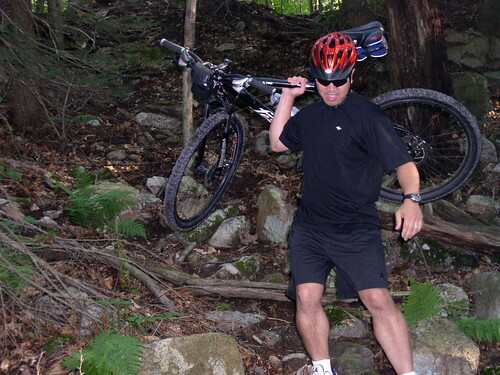 The ground was so loose and steep that we sometimes had to carry our bikes to get back to the main trail. After talking about it with some of our friends, we all plan on hitting this trail next weekend. Over all experience was good. If I would have known about this trail sooner, I would have definitely logged in more miles there. Nice pictures! Looks like a fun trail.But I’ll have to say that RL still has sexier legs than you do. Ha! Ha! Is that Deep Roy riding with you? Are there any sweet jumps there? I didn’t see any jumps. But that doesn’t mean they’re not there.